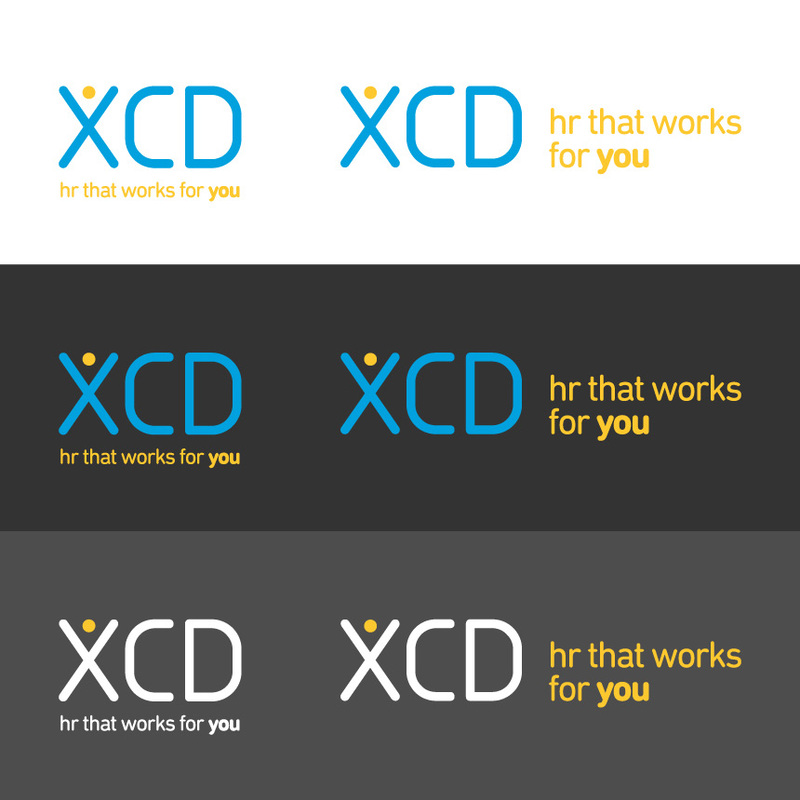 XCD produce self-service cloud-based HR software for mid-sized businesses and the public sector. In a joint project they approached Bristol-based Valuable Content and ourselves to create content and design for a new website. The project also involved a subtle part rebrand as part of the design. The existing XCD website came across as professional and clean, but almost a little too technical. It didn’t fully communicate the difference that their software made to people’s and businesses’ lives. In creating the new website, we also wanted to communicate the benefits more upfront and include genuine client success stories. This, on top of including the story of XCD themselves would make for a more approachable brand and product. The brand, as it stood, only consisted of a couple of colours. I suggested re-visiting the colours, and also creating a secondary colour palette of warmer colours. With the knowledge that there was a need for an exhibition stand and printed HR guide shortly after site launch, it made sense to tackle everything from the outset. This would give me the necessary tools going forwards to create further supporting marketing materials. Tied in with the changes to the colour palette was a change to the existing logo. Discussions with the client led to them preferring a brighter blue for their logo than the existing ‘navy blue’ version. We also adjusted the yellow of the logo strapline, so it would work both on a white background and when reversed out of darker colours. Existing typography on the XCD website used a rounded font that we felt was a little too technical for their more human business offering. We therefore suggested a different rounded font, that would move the brand on, without making too much of a step-change to what customers trusted already. To complement the new headline font DIN Next Pro Rounded, we suggested using DIN Next Pro – the complementary non-rounded font in the family. This is modern and legible in both digital and print applications. The new site was to be built on the WordPress platform and needed to be responsive in nature to read well on mobile devices. We decided to move key information to the top of the page, stating exactly what the software did, some simple benefits and an embedded ‘benefits’ video. The video already existed but was a little hidden away on the current site. This was followed by short client testimonial snippets which would link through to full case study pages. This was then followed by key product benefits and an overview of how XCD HR software could work for your business. Links to blog content, newsletter sign-up and contact details followed towards the bottom of the page and the deep footer. The XCD home page works as one long scrolling page – represented here in two sections. Also to consider were six inner page templates, which, whilst being key pages themselves, would have enough difference and flexibility to be used as templates for remaining inner pages. Chosen web builders Click Intelligence could then use these to build other inner pages populating the rest of the site. A bespoke illustration uses a mountain journey theme to describe the customer journey and options available. Icons within these key sections describe the solutions on offer. A simple overview text-heavy page also provides a template for further inner pages. A simple chronological timeline shows the story of XCD so far. The Knowledge Hub page cleanly displays blog posts and featured articles. A clear, clean blog post page template shows how an article should look, including banner image, author attributes, social share and comments form. The website was launched to coincide with a trade exhibition which XCD were attending. I also designed exhibition stand, printed HR guide and business cards for this event.